Bring Back our Girls activist and former Nigerian minister Oby Ezekwesili has thrown her hat into the election ring for Nigeria's upcoming 2019 elections and says her candidacy will "disrupt the politics of failure" in Africa's most populous nation. Ezekwesili in an interview with Christiane Amanpour said bad governance had become endemic in Nigeria and citizens no longer hold leaders accountable for corruption or corrupt acts. "It [Nigerian politics] produced dismal results such that today Nigeria is the world's capital of extreme poverty," she said. "It's totally unacceptable. What I intend to do is to disrupt this and build a nation that is based on prosperity, stability, cohesion, and equality of opportunities for our people." Around 87 million Nigerians are living in extreme poverty, according to the 2018 World Poverty Clock, despite the country's vast oil wealth and human capital. Incumbent President Muhammadu Buhari, who is also running for a second term, vowed to tackle corruption in his first term, a promise many Nigerians say he has not fulfilled. Ezekwesili, who announced she was running for Nigeria's top office in October, is towing the same path, with a campaign promise to weed out corruption, which she calls a "malignant and cancerous action." "We know that corruption is a tax on the poor. And we already know there are ways to tackle corruption. You prevent opportunities for corruption; you reduce corruption. "What my agenda is to deregulate the economy in the kind of way that public officials don't have too much presence in the economy to be able to utilize it for personal gain," she said in the interview. Ezekwesili is one of the co-founders of Transparency International, a global watchdog fighting corruption. She has been nominated for the Nobel Peace Prize. She leads the Bring Back Our Girls group calling for the safe return of kidnapped Nigerian schoolgirls kidnapped by terror group Boko Haram since 2014. 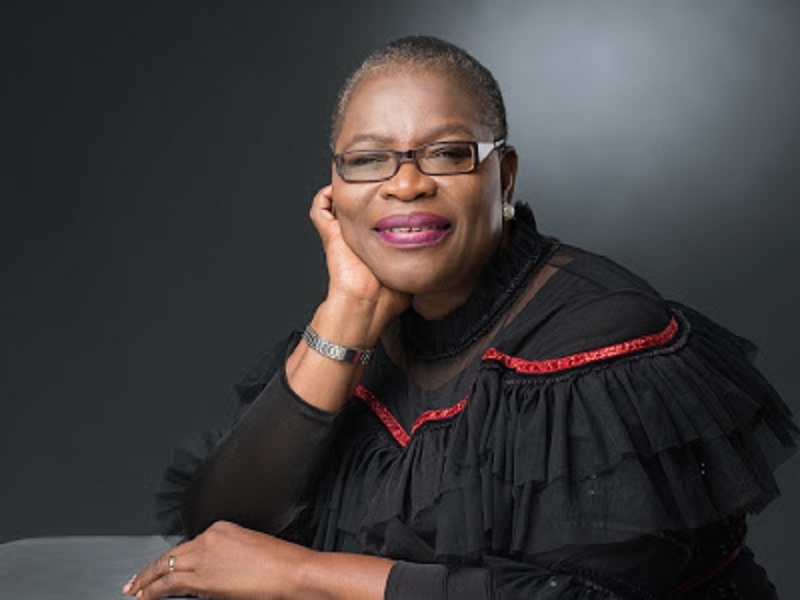 Ezekwesili faces an uphill task as a female presidential candidate, but most significantly, she will be running against incumbent President Buhari and Nigeria's former vice-president Atiku Abubakar in February next year. The activist said the candidates' popularity does not faze her and her ambitions to lead the West African nation. Ezekwesili believes she stands out from other candidates. According to her, leadership is "gender neutral" and she brings "character, competence, and capacity" to the race, she said. "I am a better candidate than the men that are in this race, and even they will tell you that. I'm simply going to keep on with the issues that I want to solve and be a problem solver," Ezekwesili told CNN. Her record of fighting corruption and plugging financial leaks in Nigeria's public sector, when she served as a minister proves she will deliver on her campaign promises, she said. "I believe I am the candidate of the Nigerian people as I am not running alone. We are all running together. All of us that want a new direction for our country are running together," Ezekwesili said. "This is a contest between the established class of politicians who have not delivered anything meaningful in governance and the rest of us. I'm simply a candidate who is providing a direction for the rest of society to take on these folks." Ezekwesili served as Nigeria's minister of education in 2006 where she championed educational reforms to get more girls to attend school, especially in northern Nigeria.